Across the street from a Latino supermarket on South Wells Avenue is “A Toda Madre” tattoo parlor. Seven artist workstations line the walls of the shop decorated with each artist’s unique style and personality. One booth, in particular, displays two charcoal portraits of a father and son encased in a vintage gold frame, described as “old, but gold” by the artist, Albert Rivas. Rivas, 32, is from Ocotlán, Mexico and his creative upbringing began in Los Angeles where he discovered his love for tattoos in magazines. 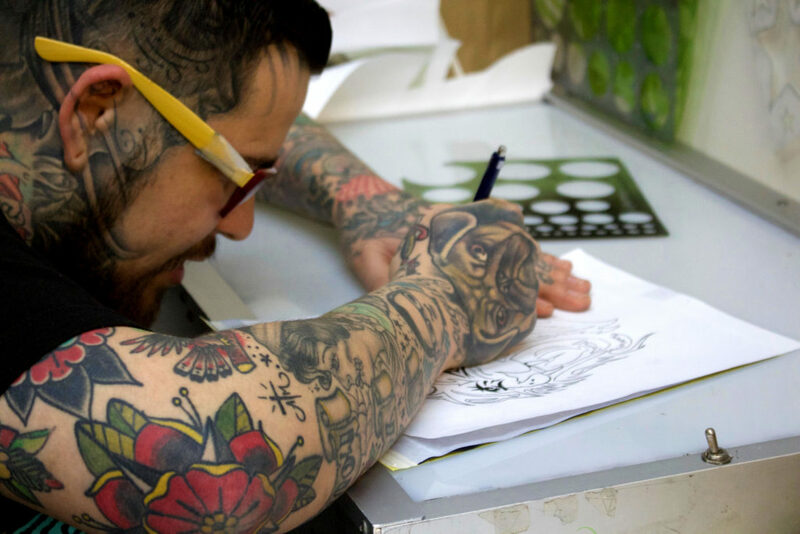 “They [magazines] urged me to create a book where I could tell the stories of how people got their tattoos, why they got them, and what they paid for their tattoos,” said Rivas. Rivas’ high school English teacher also played an influential role in his pursuit of art as a career. Art classes in high school were often filled due to their popularity, so Rivas turned to ceramics instead. For four years, his English teacher collected each piece of art he made in ceramics class. One day, Rivas said she pulled him aside to give him a collection of paint, brushes, and a canvas. She told me that education doesn’t come easy to everyone and some people are natural at other things, and ‘I believe you’re an artist and you should pursue it’,” Rivas said. 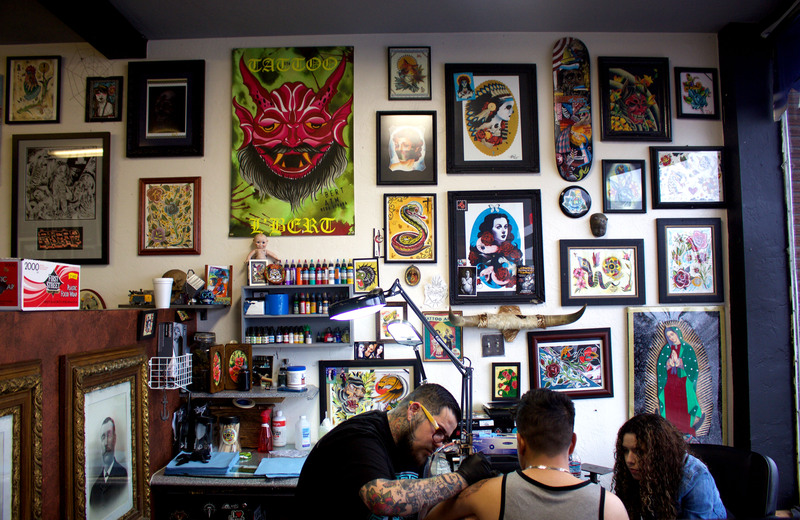 Rivas had a friend in Nevada and moved to Reno at the age of 20 to begin his career as a tattoo artist. “There was a shop with tattoo equipment for sale and instead of getting a tattoo, I got a tattoo machine that day,” Rivas said. His first canvas? Rivas’ own skin. Rivas began working at A Toda Madre when the shop opened in 2012. He was soon promoted to manager and has aimed to make the tattoo experience memorable for each customer. A Toda Madre won the 2016 award for “Best Tattoo Parlor of Northern Nevada”. Tony Sanchez, 22, received his first tattoo from Rivas one year ago and recently had an appointment with Rivas to add a lion tattoo to his arm. A Toda Madre is known for using disposable tubing and needles that have only been utilized once for each, individual customer. This process makes customers like Sanchez feel more comfortable knowing there is little to no risk of infection. Reno-native and fellow tattooer Christopher Martinez, 29, believes that working alongside artists of various styles is important. “I like it that, here, we’re all pretty motivated and it’s the first shop I’ve liked working in. It’s a lot of good vibes here,” Martinez said. According to Statistic Brain, approximately 36 percent of people ages 18 to 25 have at least one tattoo.